I absolutely adored this home as soon as I saw it in the August Instyle. 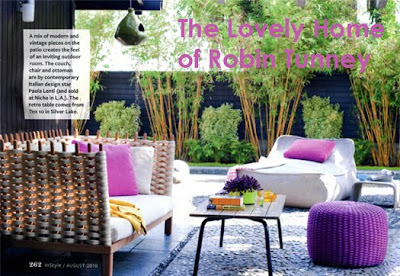 This lovely retro-modern abode is home to actress, Robin Tunney. 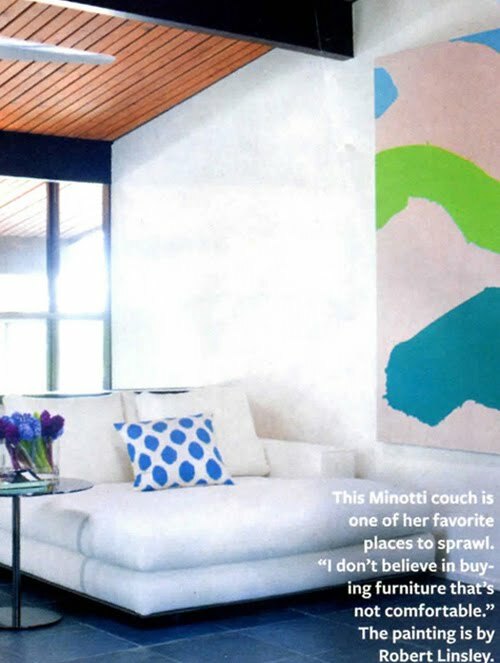 I love her clean lines and bright pops of colour throughout her home. 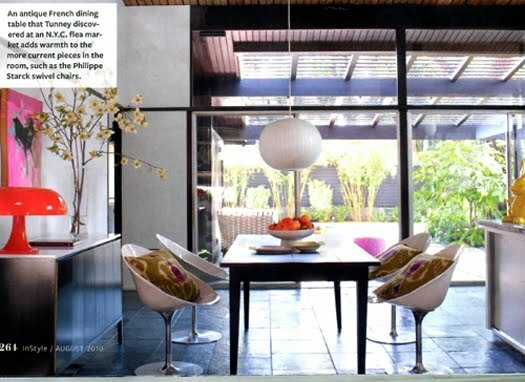 My favorite detail has gotta be the dark black chalkboards above her kitchen counter--so unexpected yet so helpful as well :) I would love to be lounging in her private backyard patio right this second, just in time for happy hour!